Hiab, part of Cargotec, is delighted to announce that Tim Hansen from Denmark has won the World Crane Championships (WCC) held on 24 and 25 September in connection to the IAA exhibition in Hannover, Germany. Among 15 finalists Mr Hansen won the championship final with a time of 2:51:42, Guido Beaujean from the Netherlands got silver with a time of 2:53:99, and Martin Utpatel from Germany won the bronze final with a time of 2:51:01. In the finals, the crane drivers got to operate the cutting-edge HIAB X-HiPro 232 mid-range loader crane just launched at the IAA. The competition tested the contestants' skills and ability to clear a series of precision obstacles at maximum speed. "I have been nervous from the start," Mr Hansen commented after the race. Tim Hansen has his own company, Tim Hansen APS, and has been operating cranes all his life. It runs in the family: Tim's grandfather Sven Aage Hansen, aged 82, has driven cranes for over sixty years and father Sören Hansen is also a crane operator. "The best thing about being a crane operator is working in the summer time," Tim Hansen said with a smile. 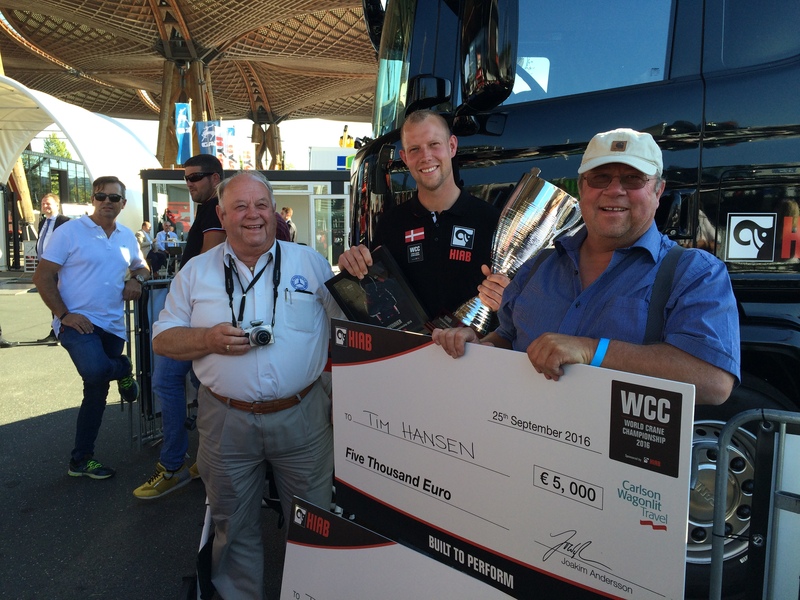 Mr Hansen will return home with the title of World Crane Champion, a EUR 5,000 travel cheque and EUR 20,000 to aid the purchase of a new HIAB crane. In fact, Mr Hansen is considering using his prize money on a new HIAB X-HiPro 232, the same model that was used in the final. 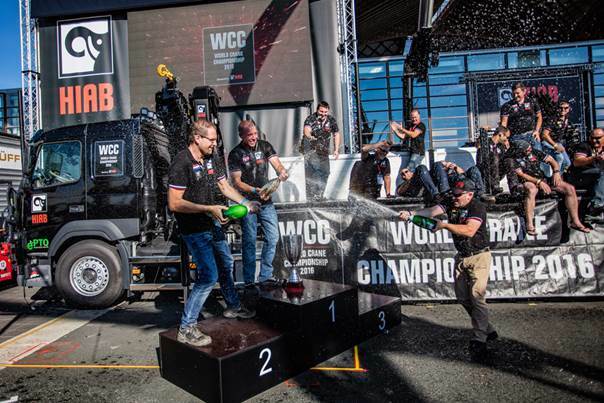 Lotta Sjöberg, Marketing Manager, HIAB Loader Cranes, congratulated Tim on the championship title and also on the recently gained title of dad, as Mr Hansen became a father two months ago. 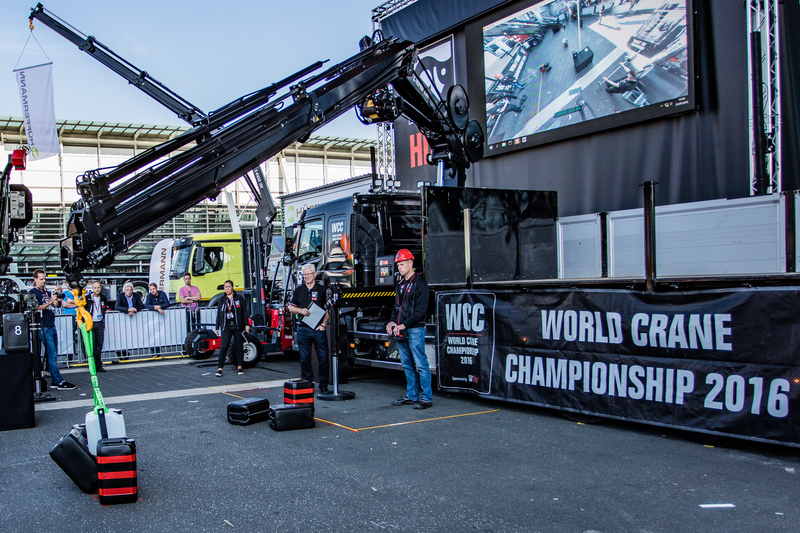 Hiab sponsored the WCC last year for the first time in recognition of crane operators from around the world who perform demanding jobs daily. This year, the finalists came from Australia, Austria, Belgium, Denmark, France, Finland, Germany, Italy, the Netherlands, New Zealand, Norway, Sweden, Spain, the United Kingdom and Slovenia. 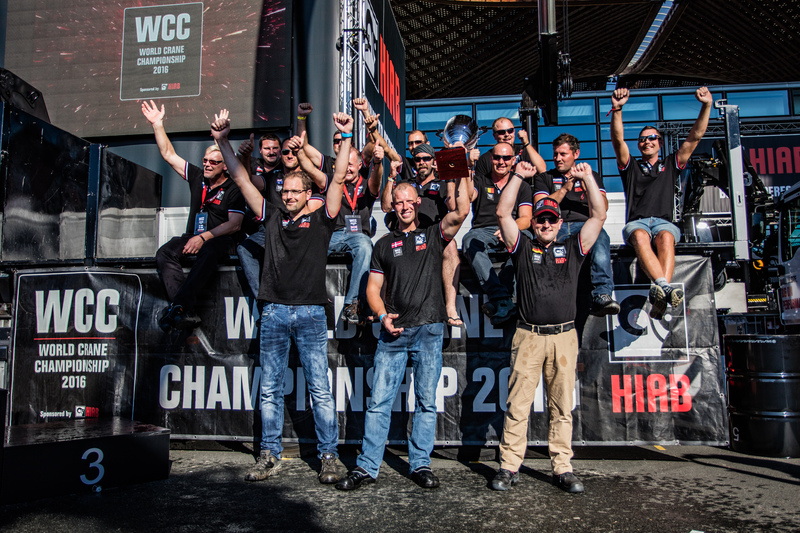 Joakim Andersson, Senior Vice President, Loader Cranes at Hiab, commented: "I wish to warmly congratulate Mr Hansen for the win and all the finalists for a great competition. You put up a stunning show at the World Crane Championships. Also the road up to the race was amazing, with hundreds of professional crane drivers taking part in the qualifications. We at Hiab are thrilled to have hosted this event where the industry's best drivers have shown that they've really got what it takes. 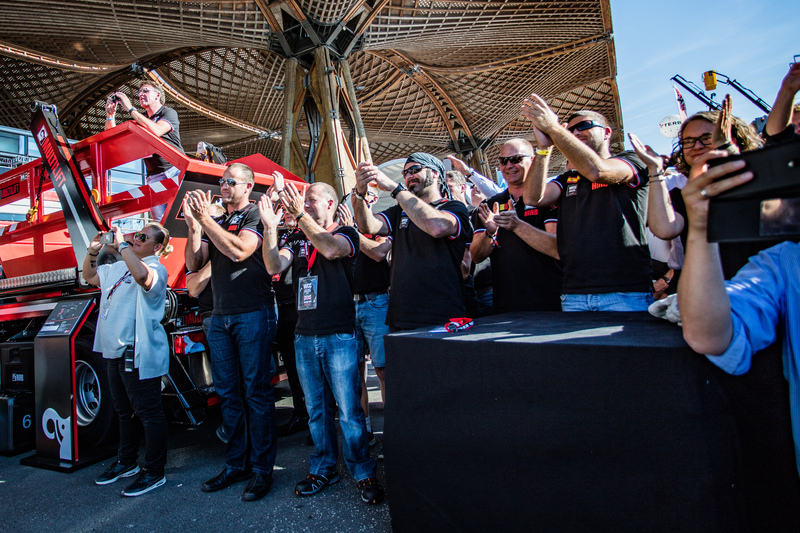 We look forward to the next championship final at the IAA 2018 exhibition in Hannover!"